Ok guys, I know it's been awhile but I am so excited about this recipe. I wasn't sure what to call this recipe because it has all of the makings of a good jalapeño popper: roasted jalapeños, cheese and bacon but I used pimento cheese instead of cream cheese. I know I know, I fancied up a classic. And I love a classic grilled cheese sandwich with white bread and american cheese but this one was a nice change. I mean the bread is even jalapeño cheddar, it doesn't get much better than that! I made the pimento cheese from scratch but you could totally use store bought pimento cheese to cut down on ingredients and time. I would definitely recommend Whole Foods pimento cheese, it has gouda in it...so good! And despite the 90 degree weather in Charlotte right now, I served these sandwiches with healthy tomato soup and it hit the spot. Using an electric mixer, mix together all of the pimento cheese ingredients until well blended. Set aside. Cook the bacon according to the package instructions and set aside. Place the jalapeño peppers on a baking sheet with the cut side facing down. Place the baking sheet on the top shelf of the oven and broil the jalapeños until the skin has blackened, about 5 to 9 minutes. Once blackened, place the peppers in a zip-lock bag and cool them for 15 to 20 minutes. Once cooled, remove the blackened skins from the peppers. Butter the outside of 8 slices of bread and then spread the pimento cheese, jalapeños and bacon on each sandwich. Heat a non-stick grill pan over medium heat and grill each sandwich until golden brown, about 2 minutes per side. And for my Charlotte friends, La Brea bakery is hosting a sampling tour throughout Charlotte in the month of June where you can get complimentary loaves and coupons so be on the lookout around town! 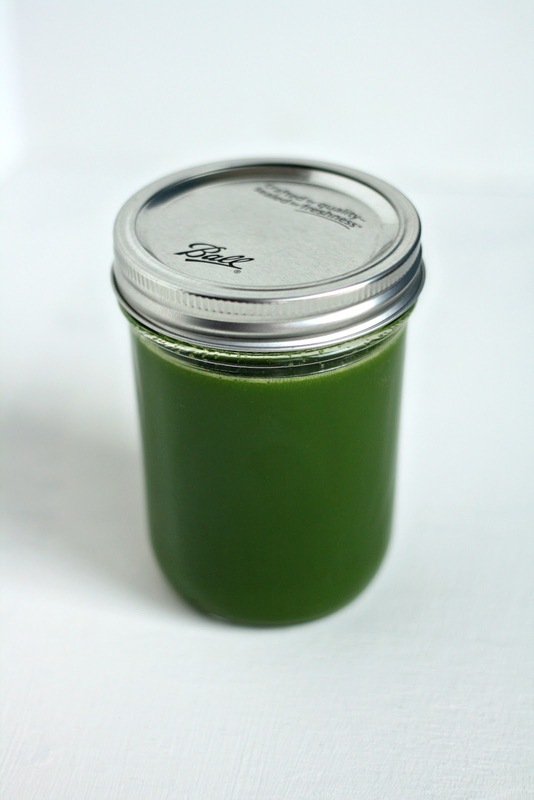 Were you sick of looking at the green juice post for the past 3 months? Yeah, I was too... so I made one of my favorite desserts to help you forget I've been MIA for the past few months. I've been day dreaming about macarons ever since I made the cinnamon biscoff macarons last year. But why do they have to take so long to make (like 2 plus hours)? When I started doing some research online, I realized there were lots of abbreviated macaron recipes out there. I decided to go for it and cut the following steps out of this recipe: I didn't let my egg whites age or get to room temperature, didn't sift the dry ingredients three times and didn't let them sit out 45 minutes to dry. By cutting all of these steps out, these macarons took less than hour start to finish. Preheat the oven to 280°F. Line two baking sheets with parchment paper and set aside. Print the macaron template here and slide this under the parchment paper (don't forget to remove it before you slide the macarons in the oven!). Pulse rice krispies, powdered sugar and almond meal together in a food processor until it forms a fine powder. Sift 1 time and set dry mixture aside in a large bowl. In a stand mixer with the whisk attachment add your weighed out egg whites and granulated sugar beating on medium-high speed until stiff peaks form, it will take about 4-5 minutes. Fold the stiff egg whites into the dry mixture, mixing only until combined. Transfer batter to a large pastry bag fitted with small round pastry tip and pipe rounds onto parchment paper using your macaron template. Hold the pastry bag straight up and squeeze straight down and let the batter form a circle on it's on. If you want to smooth the small peaks in the center of the cookies, wet your finger with water and lightly push down on the peaks to ensure smooth, flat macarons. Once you have piped all the macarons, light bang the cookie sheets on the counter to release any air bubbles in the cookies. 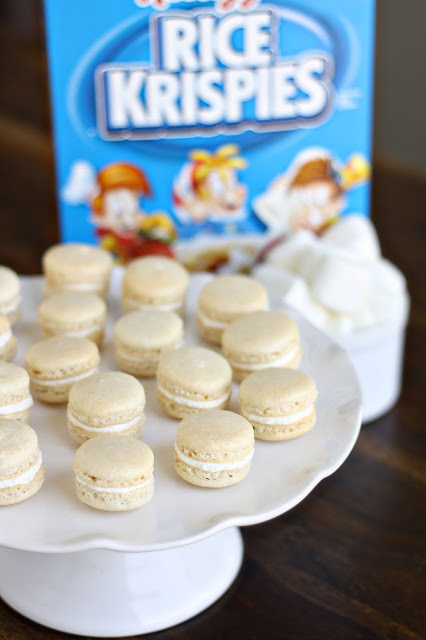 Bake macarons for 20-22 minutes. Let them cool on the baking sheet, do not fill them until they have completely cooled. Cream the butter and marshmallow fluff together. Slowly add in the powdered sugar and scrape down sides of the bowl after each addition. Lastly add vanilla and crushed rice krispies and beat until creamy. Pipe filling onto a cooled macaron shell and sandwich with another shell and repeat until all shells are used. Store the macarons in the fridge and let them sit out for 10-15 minutes before serving. Currently, this green juice is one of my favorite things. Don't let the color scare you, the taste makes up for the color (kinda?). You would never know this juice was packed with kale because it tastes like freshly squeezed green apple juice, lemon and a hint of cucumber. I got curious about green juice after hearing so much about juice cleanses. I've never attempted a juice cleanse but for how much I enjoy this green juice, I can't say I'd hate it. I love drinking all of those fruit/veggie juices they sell in grocery stores, like Naked juices, because they make me feel like I'm getting a decent serving of veggies (and yes, lots of sugar). And because I'm always looking for ways to eat more veggies, I decided to give homemade juice a try. So this is where I tell you, I don't have a juicer. Obviously, I would love a juicer one day but they are so expensive! After a little research, I decided to try making green juice in my Vitamix and it worked surprisingly well. By using a blender, I have to take an extra step and strain the mixture to get the juice but I tell myself that a blender is much easier to clean than a juicer so it's a fair trade off. If you want to drink the juice immediately than use cold fruits and veggies, your juice will taste so much better! Also, this juice can be refrigerated for up to 24 hours, making it a perfect grab and go breakfast. And you will have about a cup of pulp leftover which I save and add to my smoothies during the week. Now go make and love green juice, you can't use the 'I don't have a juicer' excuse anymore. Add cucumber, celery, kale, apples and lemon to the blender (in that order) and blend until very smooth (takes about 2 minutes on high with Vitamix). You will need to use a tamper or spoon to get it moving at first. Strain mixture with a strainer or a cheese cloth. If you don't want any pulp in your juice, strain mixture through twice. I've always had a thing for mac and cheese or really anything cheesy for that matter. So when the Wisconsin Milk Marketing Board asked to create a mac and cheese recipe inspired by a classic dish, the first thing that came to mind was a grilled cheese sandwich. Because, well, it doesn’t get any more classic than a grilled cheese! This mac and cheese is inspired by one of my favorite grilled cheese sandwiches (from a local Charlotte restaurant), that layers tender pulled pork, cheddar cheese, gruyere cheese and onions between two pieces of buttery Texas toast. Pork and cheese are rarely paired together making this dish such a treat. 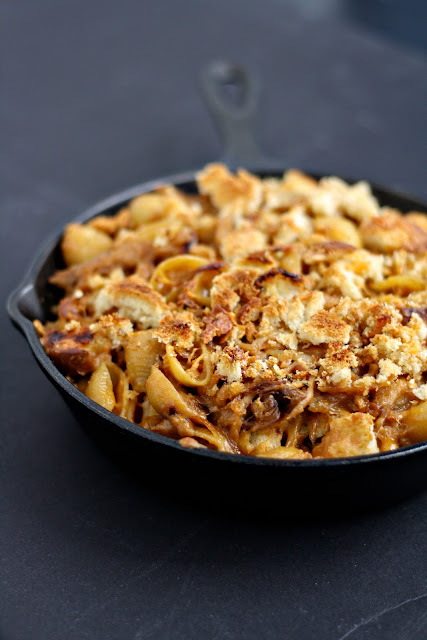 The pasta is undercooked initially and then baked with caramelized onions, Gruyere/Cheddar cheese sauce, pulled pork, and Texas toast crumbles until it is perfectly creamy and warm. Check out the 30 Days 30 Ways Mac & Cheese blog for the next month to see what mac and cheese creations other participating food bloggers came up with. I know I can't wait to try this Pancetta Mac & Cheese Panini. And check out the breakfast mac and cheese I created for the mac and cheese blog last year! Bring a large pot of salted water to a boil. Add the pasta and cook until al dente, about 6 minutes for shells. Drain and set aside. Heat a large pot over medium-low heat. Add 3 tablespoons of butter, olive oil, onions, garlic salt, salt and pepper. Cook for 20-30 minutes, stirring occasionally until golden brown in color and caramelized. Increase heat to medium and stir the flour and 1 tbsp of butter into the onions and whisk constantly for 2-3 minutes to create a roux. Add in milk and barbeque sauce, whisking constantly, and stir for another 5 minutes until slightly thickened. Reduce heat to medium-low and add in grated cheese. Continue to stir until sauce is creamy and cheese has melted. Stir in shells and then pulled pork. Transfer mac and cheese to an oven safe baking dish and sprinkle with Texas toast crumbles. Bake for 15 minutes or until light golden brown. *To make the pork at home, put the seasoned pork in a large roasting pan and cover with foil. Roast the pork at 300°F until the meat is falling off the bone, about 5 to 6 hours. Cool until warm enough to handle, about 1 hour. Once cooled, shred the pork by hand into 2 inch pieces. To reheat this dish, just add a few tablespoons of milk and stir. Disclaimer: this recipe was developed by me for Wisconsin Milk Marketing Board , all opinions are my own. 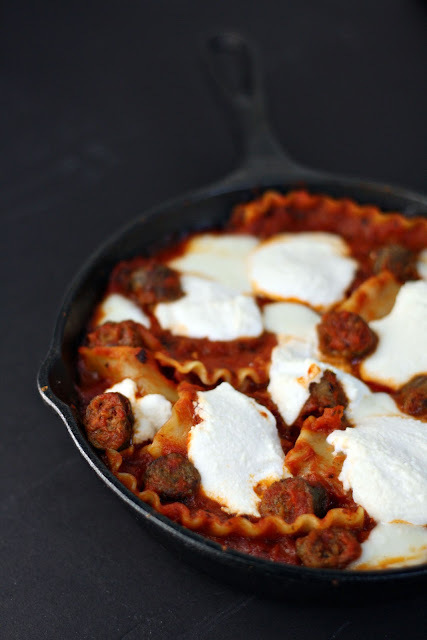 In my family, when we eat lasagna we always skip the ricotta and load up on bechamel sauce. Bechamel is a roux made with flour, milk and lots of butter. The thing about bechamel sauce, you have to constantly stir it for close to 30 minutes to get it right. So after living through 20-something years thinking I only liked lasagna with bechamel sauce, I was completely surprised when I couldn't stop eating my grandma's ricotta- filled lasagna a few years ago. Unfortunately, both my mom's and grandma's lasagna recipes take close to an hour just to bake. Whereas this recipe takes less than 30 minutes to make, start to finish...meaning I can make lasagna any night of the week! And for being such a quick dinner, it really has great flavor and can easily be reheated. Prepare sausage according to package directions. Cut links into bite-size pieces and set aside. Cook lasagna noodles according to the package and set aside. Heat a large oven safe skillet (I used a cast iron skillet) over medium heat and add oil. Once oil is hot, add onion and cook until softened, about 6 minutes. Add garlic and cook for one more minute. Stir in diced tomatoes, sausage pieces and lasagna noodles until everything is evenly distributed. Top with sliced mozzarella and scoops of ricotta cheese. Bake for 15 minutes or until sauce begins to bubble and cheese has melted. Disclaimer: this recipe was developed by me for Jones Dairy Farm, all opinions are my own. I'm back to my normal routine after being on vacation over Christmas for two whole weeks visiting my family in California. Every morning I was at my parents house, I'd toast a slice of sourdough and top it with pastrami and Havarti for breakfast. I can't tell you how much I loved being able to sit and enjoy a hot breakfast with a fresh cappuccino on a weekday! But now that I'm back at work, I rarely make time to fix myself breakfast during the week so I save all my breakfast cooking (and mimosa drinking) for the weekends. 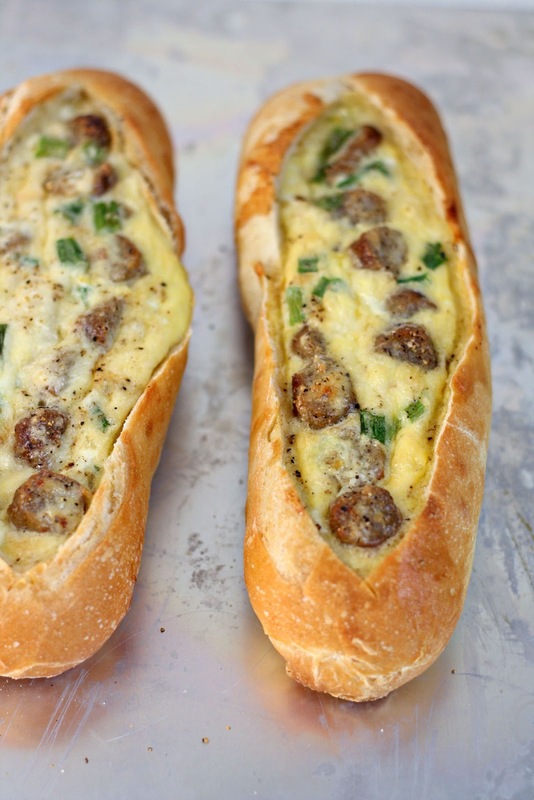 These egg boats are a new breakfast favorite because they literally take less than five minutes to prep. Sourdough baguettes filled with sausage, eggs and lots of cheese, baked until hot and toasty... so so good! Cut and pull out the middle of all 4 sourdough baguettes, leaving ½ inch of bread in the bottom and on the sides. Set baguettes aside. Prepare sausage according to package directions. Cut links into bite-size pieces and set aside. In a medium bowl, lightly beat together the eggs and the cream. Whisk in remaining ingredients and sausage. Evenly divide and pour the mixture into each baguette boat. Place all 4 baguettes on a baking sheet and bake for 25-28 minutes or until set in the center. Allow boats to cool for 10 minutes, cut and serve.